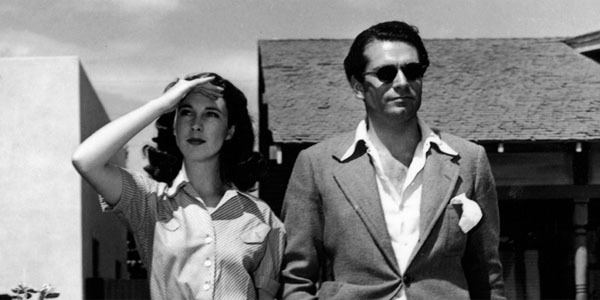 Vivien Leigh and Laurence Olivier were two of the most famous stage and screen actors of the 20th Century. They were also in love with one another. From 1936 to 1940 they were involved in a passionate and scandalous adulterous affair (they were both married to other people at the time). When they finally married, their stature as The Oliviers brought them to new heights as a famous theatrical couple. Most people know Vivien Leigh for her Oscar-winning performance in the 1939 film Gone with the Wind, and Olivier from his Shakespeare films, but these on-screen achievements were only the tip of the iceberg when it came to the level of fame they enjoyed and the impact they had on popular culture. Vivien Leigh was the first British woman to win an Academy Award, and did so at the young age of 26. She would follow up her Oscar triumph by winning a second statue in 1952 for her portrayal as the fragile and doomed Blanche DuBois in Elia Kazan’s screen adaptation of A Streetcar Named Desire. As a performer, Vivien, like her husband, felt most at home on the stage. She had become an overnight sensation for playing a prostitute masquerading as the embodiment of virtue in Ashley Dukes’ 1935 translation of The Mask of Virtue. At the time, her stunning looks outweighed her acting talents, and this was something she strove to correct throughout her career. Vivien was also a photographer’s muse and was often used as a model in Vogue magazine on both sides of the pond. Although considered by many to be one of the most beautiful women of her time, Vivien found her looks to be a handicap, as theatrical critics (in particular) could not seem to look past her face and properly assess her performances. Despite critical misgivings, Vivien was very much a fan favorite her entire life (not a feat many actresses achieve). Her performances always drew a big crowd, and her films did well at the box office. Laurence Olivier did not possess the natural talent for film acting that his second wife did. Coming from a generation of British theatre actors who saw film as an inferior medium, Larry found it difficult to transition from the stage to the screen, and it was not until he worked with director William Wyler on Wuthering Heights in 1939 that he grew to appreciate the art of acting for the camera. His greatest film successes came in the 1940s when he became the first actor and director to successfully adapt Shakespeare for the screen with what has now come to be known as his “Shakespeare Trilogy” (Henry V, Hamlet, and Richard III). In 1947, Olivier became the youngest actor ever to be given a knighthood, and in 1949 he became the first actor to direct himself to a Best Actor Oscar. Hamlet also remains the only Shakespeare film to win Best Picture. Larry always said directing films was his favorite occupation, but as an actor, he vastly preferred performing on the stage, and together he and Vivien became England’s “King and Queen of the Theatre,” selling out wherever they performed (a disastrous run in Romeo and Juliet in 1940 being an exception to the rule). Vivien always looked up to Larry as her mentor, and continuously praised his talents as an actor and director. He directed Vivien to several successes during the 1940s including The Skin of Our Teeth and A Streetcar Named Desire, and they performed in 14 plays together. In 1948 they were appointed actor-ambassadors and lead the Old Vic Company on a extremely successful 9 month tour of Australia and New Zealand. As a married couple, the Oliviers epitomized glamor, romance, and success to fans around the world, the international media, and colleagues in the business. The first 14 years of their relationship was, for the most part, a very happy time for them. Things became very difficult in the 1950s. Vivien started to display strange behavior and cyclical mood swings. In the early 1950s she suffered a nervous breakdown while filming Elephant Walk (where she was carrying on an affair with co-star Peter Finch) and had to be flown back to England for treatment. 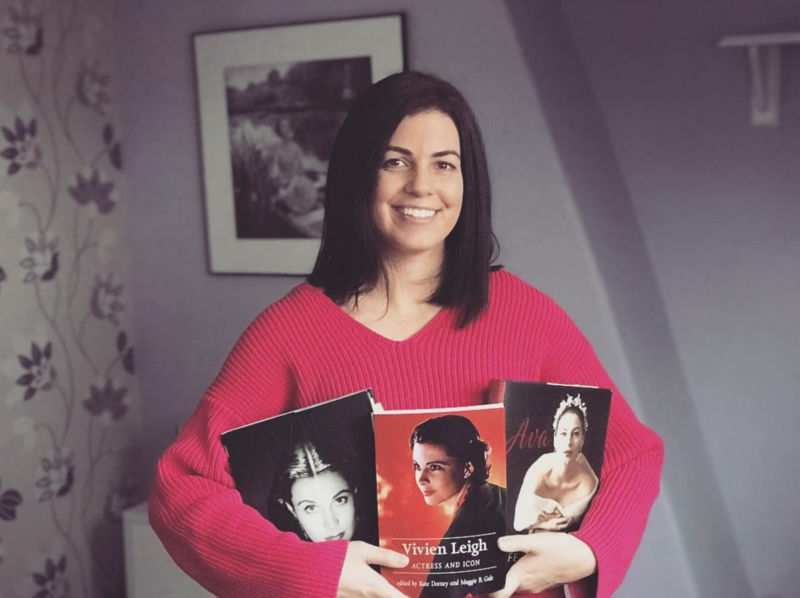 Vivien was diagnosed with Bipolar Disorder–which was little understood at the time and treatment was crude at best–and this caused great strain in her relationship with Larry. Unfortunately, Larry found things very hard to cope with, and he and Vivien divorced in 1960 after 20 years of marriage. He married actress Joan Plowright in 1961, and Vivien found companionship in actor Jack Merivale. Though they went their separate ways, Vivien and Larry still remained a part of each other’s lives, suggesting that although he left her, he did not stop caring. Letters and phone calls were exchanged, they attended each other’s performances, and kept close tabs on one another. They both continued to have successful careers on the stage and on screen when health permitted it. Vivien’s life was cut tragically short when she suffered complications from tuberculosis in July 1967 at the age of 53. Larry would outlive her for 22 years, passing away at age 82 in 1989. 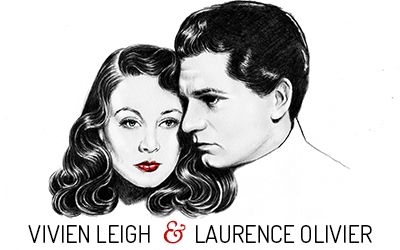 Though they may be dead, Vivien Leigh and Laurence Olivier are still very much alive in popular culture today. Their story continues to fascinate fans young and old, and their films have given them immortality.